North Shore Realty in North Myrtle Beach, South Carolina is a well known, small family owned company specializing in North Myrtle Beach condo vacation rentals and North Myrtle Beach & Myrtle Beach real estate sales. We have been renting and selling North Myrtle Beach oceanfront vacation condos and vacation rental homes for over 35 years. 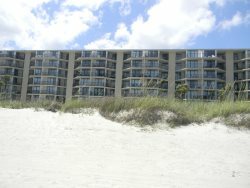 Our vacation rentals are located in the Windy Hill, Crescent Beach and Ocean Drive sections of North Myrtle Beach. Take time to search our web site to find the perfect vacation oceanfront condo for your week at the beach! Sometimes searching all the proprieties in the area can get a little confusing ...Please do not hesitate to call us at 800-458-5387 and we will help walk you through your reservation! If you are ready to change to a property management company that knows what your condo looks like and cares about your income and family vacation home, call North Shore Realty at 800-458-5387. Karen, Judy are Scott are available to help you find exactly what you need in a company ready to serve your needs. We care about you and your home!